Diagnosing malaria or other blood-borne illnesses used to require analyzing cell slides under a bulky, costly light microscope—which can be difficult to find in impoverished, remote locations. Enter LUCAS (Lensless, Ultra-wide-field Cell monitoring Array platform based on Shadow imaging), an easy-to-use, pocket-size holographic microscope that weighs less than 50g, uses inexpensive, off-the-shelf parts. Here are the high-tech pieces that Hilaree O’Neill, a 39-year old ski-mountaineer, will carry as she treks up the same path as Hillary and Norgay did 59 years ago. 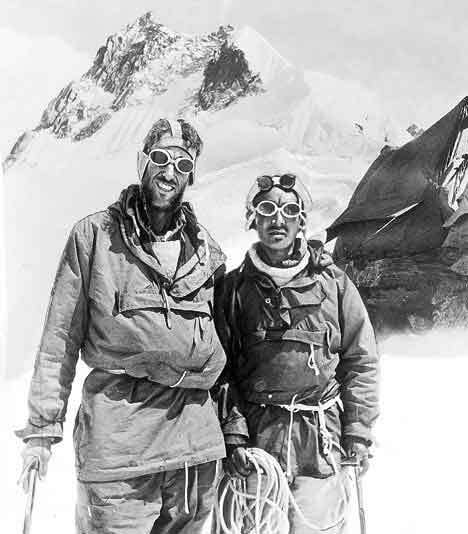 The article also goes on to compares today’s technology to what Edmund Hillary used. 1953: Made by Claudius Simond in Chamonix, France, Hillary’s ice axe was constructed of forged steel with a European ash wood handle. 2012: Weighing just 12 ounces, the Black Diamond Raven Ultra Ice Axe (above) has a hollow aluminum shaft and a stainless steel head. It measures 20 inches in hand—about a foot shorter than Hillary’s. See all the gear and comparisons and learn more about National Geographic’s hike of Mount Everest. American Indians and Alaska Natives typically live in more rural and isolated locations of the United States, areas that generally have waited longer for internet broadband access. Many tribal lands still have only very limited connectivity. As a result, many Native people have moved straight to mobile internet, accessing digital content through cellphones that do not require broadband connection. Radio remains the most prevalent medium for this population and since 2009 new stations aimed at Native populations have gone on the air. Television also saw growth with the debut of a new Native station. Newspapers had a more mixed year. The American Indian and Alaska Native population in the United States reached 5.2 million in 2010, or 1.7% of the total U.S. population. That is a growth of 1.1 million, or 26.7%, over the last 10 years, more than double the overall population growth of 9.7%, but still less than some other races. Less than half of American Indians and Alaska Natives, 43%, have broadband access at home. The rate for the U.S. generally is 65%. The rate is also lower than rural Americans (50%) and other ethnicities (over two-thirds, 67%, of Asian Americans have broadband access at home as do 59% of African Americans and 49% of Hispanics).